I'm going to make this short and sweet since I have the most miserable cold right now. Ugh. This week's topic is Top Ten Best Sequels Ever. It was a little difficult for me to pick the BEST EVER, but these are certainly amazing sequels. I've decided to omit every Harry Potter and Chronicles of Narnia book after the first one, simply because I can't pick a favorite. But still, they're amazing. It's fall! Well, it's fall everywhere except here, but still! FALL! My favorite season is autumn, so this time of year is the best, in my opinion. The leaves are changing into beautiful, bright colors, the temperature is starting to drop and there's an overall feeling of settling in all nice and cozy like. Oh how I love this time of year! As I was trying to figure out which books I wanted to spend my favorite season with, I thought I'd look back at previous TTT seasonal posts and see how I've done. Yikes. I didn't read one single book on my summer list! Bad Litza! Le sigh. Well, I might not have read any on the list, but I did do a fair amount of reading... so there. Since I failed so miserably with my summer list, I thought I'd try to be a little more realistic. A little more... practical. I'm going to share some of my most anticipated fall releases, some I'll be reading for reviews or my book club, and some that have been sitting on my shelf, screaming at me to continue with the series already! I'm very pleased to be part of this trailer reveal for Jennifer Shaw Wolf's newest book, Dead Girls Don't Lie. This book looks so intriguing! I don't know if it will be too scary for me, but I am most certainly willing to give it a try. (I know, I'm a big ol' baby. Shh.) 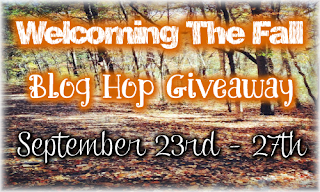 Not only do we have the awesome trailer to share with ya'll today, there's also a giveaway! So be sure to view the trailer and then enter this fantastic giveaway at the bottom of the post. Thanks to all those involved in making this Trailer Blast possible! Now, without further ado, here's the trailer for Dead Girls Don't Lie! The topic this week is Books I Would Love To See As A Movie/TV Show (set in a perfect world in which movies don't butcher the books we love). So I was totally going to make movie poster mockups for this weeks topic, but that didn't happen. 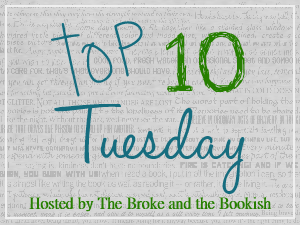 After forgetting to post a Top Ten Tuesday for last week, I thought it best to get it done before I forgot again. Hence the less than awesome (at least I hope it would have looked awesome had I made them) poster-less post. Anyway... there are so many books I see play out as movies in my head whilst reading! I've even recently thought of seeing if going into film would be something I'd enjoy... being so visual and all. Wouldn't that be awesome?! There are books missing from this list, but that's only because they've already been made (some good, some horrible) or they're coming soon! I mean seriously, have you SEEN the trailer for The Book Thief yet?! It looks AMAZING!!! Today is the day! What day, you might ask? Well, the cover reveal for Sidelined by Kendra Highley! This book, brought to by Entangled Teen, comes out September 23rd. So mark your calendars; it looks like it's going to be a good one. Oh yeah... did you want to see that cover now? Hee hee. Here it is! And I feel fiiiiiine! Hey you guys! It's Naomi here, and it's the end of another month. Last month we had a contest to name this monthly review of ours, and we have a winner! Sarah won with her entry: It's the End of the Month as We Know It, as you can see from the title of this post. Isn't it fun? I almost wonder why we didn't think of it ourselves! We're so glad she did though! Sarah, we'll be emailing you shortly so we can send you your prize! Yay! Thank you everyone for entering! All your suggestions were great, and we loved getting your input! It was fun for us to host, and we're thinking of doing more contests (as well as giveaways, of course) in the future so we can have more chances to interact with you guys!